NASHVILLE – June 6, 2018 – With just a few hours until the winners are announced at the “2018 CMT Music Awards,” this morning Hoda Kotb and Blake Shelton announced on NBC’s TODAY the finalists for this year’s VIDEO OF THE YEAR award. For the last four weeks, fans have been voting on a group of nominations that have been narrowed down to five finalists. The finalists are Blake Shelton (“I’ll Name The Dogs”), Brett Young (“Mercy”), Kane Brown feat. Lauren Alaina (“What Ifs”), Luke Combs (“When It Rains It Pours”) and Thomas Rhett (“Marry Me”). Twitter voting is open for this award and will remain open through the live broadcast of tonight’s show. Voting is only available on Twitter.Fans will need to tweet #CMTawards + the artist specific hashtag listed below in order to cast a vote. Both hashtags are required for the vote to count. The A-list roster of presenters from music, television and film includes Backstreet Boys, Brett Young, Bobby Bones, Carley Pearce,Chrissy Metz (“This Is Us”), Cody Alan (Radio and TV Personality), Courtney Force (NHRA racing), Dustin Lynch, Garrett Hedlund (“Mudbound,” “Country Strong”), Hoda Kotb (“NBC’s TODAY”), Joel McHale (“The Joel McHale Show”), Jon Pardi,Kaitlin Doubleday (“Nashville”), Katie Cook (TV personality), Keith Urban, Lauren Alaina, Leon Bridges, Lennon Stella (“Nashville”), Lindsey Vonn (US Ski Team), Luke Combs, Maisy Stella (“Nashville”), P.K. Subban (Nashville Predators), RaeLynn, Rascal Flatts and Sugarland. The “2018 CMT Music Awards” will premiere LIVE from Nashville’s Bridgestone Arena on Wednesday, June 6th at 8:00 pm ET/ PT. Country superstar Carrie Underwood, who holds the title of most “CMT Music Awards” wins with 17, looks to add to her trophy case and defend her crown against superstars Florida Georgia Line and Jason Aldean, who are tied with Underwood for the most nominations with four each. 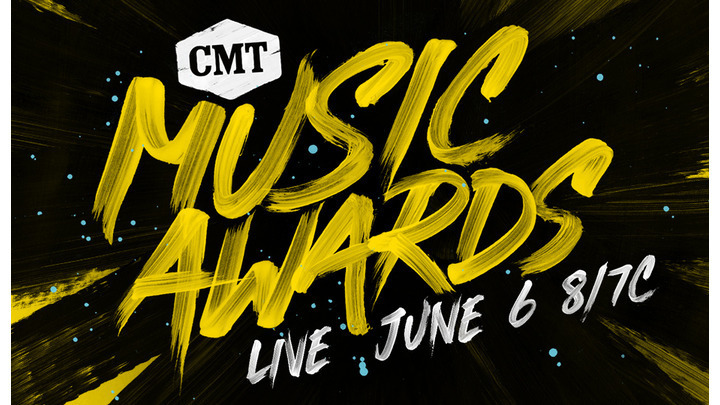 Other artists with multiple nominations include “2018 CMT Music Awards” hosts Little Big Town (3), Chris Stapleton (3), Lauren Alaina (3), Thomas Rhett (3), Bebe Rexha (2), Blake Shelton (2), Brothers Osborne (2), Carly Pearce (2), Dan + Shay (2), Danielle Bradbery (2), Justin Timberlake (2), Kane Brown (2), Keith Urban (2), Kelsea Ballerini (2), Lady Antebellum (2), LANco (2), Ludacris (2) and Maren Morris (2). A limited number of tickets are still available at TICKETMASTER.